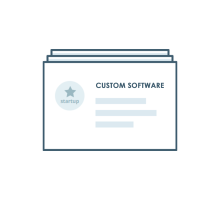 Cronlogy Technologies combines the power of creativity and experience to employ a highly skilled team of Software Development professionals who provide high-quality, high-value custom IT solutions to a variety of business enterprises. Our team is comprised of some of the industry's most widely recognized and talented individuals who have acquired extensive knowledge in developing both traditional and agile methodologies. We strive to deliver reliable, robust and effective information technology solutions, that just work. We strongly believe in quality of software, we give our hundred percent in turning your dreams into a usable and efficient product that exceeds market expectations in calibre. 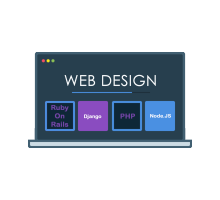 We are a fully functional full-stack software services business that aids existing as well as new ventures to find innovative software solutions to their problem. There’s a lot to be said about this company and the way it is structured. Communication with the client is done perfectly. There’s a project manager who is constantly in contact with you and gives you updates. Very professional, efficient and cost effective. They get the job done quickly and correctly. They took my system that was extremely disorganized and made sense of the whole thing. These guys saved me a lot of money. Cronlogy technologies has helped tingting become a global platform to help people. 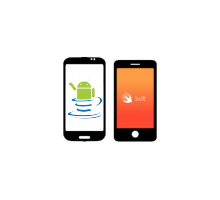 They made our product beautifully and have been managing the applications effectively based on agreed application performance and service SLA. They have proactively solved issues impacting the business and handled the continuous releases of the application without downtime. Working with them currently on a couple of projects. They always add a personal touch to what they're building with inputs from their end and what they think might be more efficient in terms of tech and conceptually. Love working with these guys. The best part is that they can exceed their limits to meet your expectations.